Out Of The Ordinary by Jen Turano is a most delightful and fun Christian historical mystery romance. It is the second book in the Apart From The Crowd series but can be read as a stand-alone. 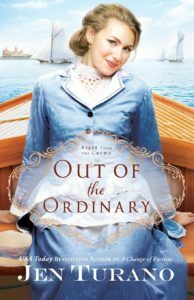 Out Of The Ordinary is a wonderful light hearted read that will have you laughing out loud at many of the antics. I think my favourite (of which there were many) is very reminiscent of a scene from The Vicar Of Dibley television series where the heroine meant to step in a puddle but disappears into a hole! It is a fun read that will brighten any day. 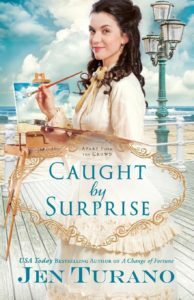 The characters are an eclectic mix and all wonderfully drawn – from the matriarch with light fingers to the heroine with a big heart and a protective nature. 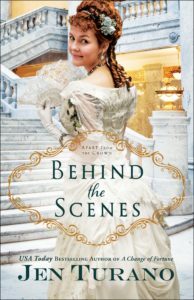 Behind The Scenes by Jen Turano is a delightfully amusing Christian historical romantic mystery and I really enjoyed it. It is the first book in the Apart From The crowd series and I cannot wait for the subsequent books. Jen Turano’s books are always entertaining and amusing. 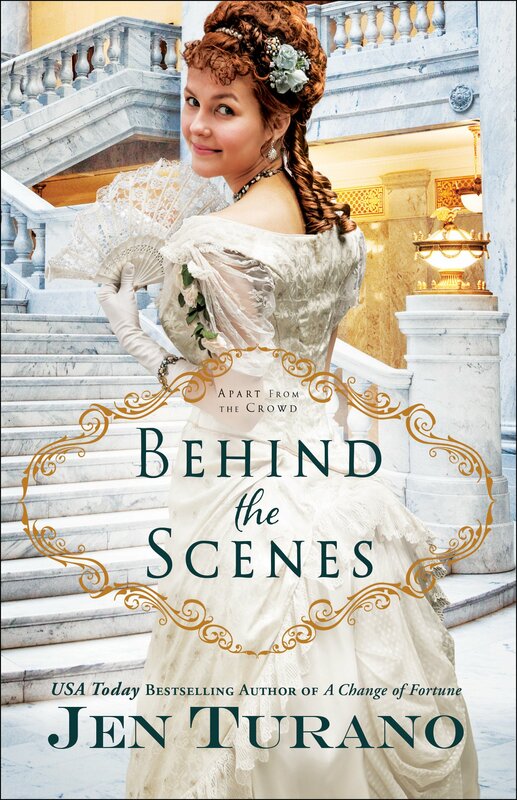 Her heroine in Behind The Scenes is a very modern and unconventional lady for her time. She gets in to some amusing scrapes. With her attitude of “I do prefer using a pistol to my fists,” she is indeed an unusual woman in the nineteenth century. There is a social conscience running throughout. “Simply because one comes from wealth does not mean one should abandon their thrifty principles.” Wealth is not to be squandered but used to do good. 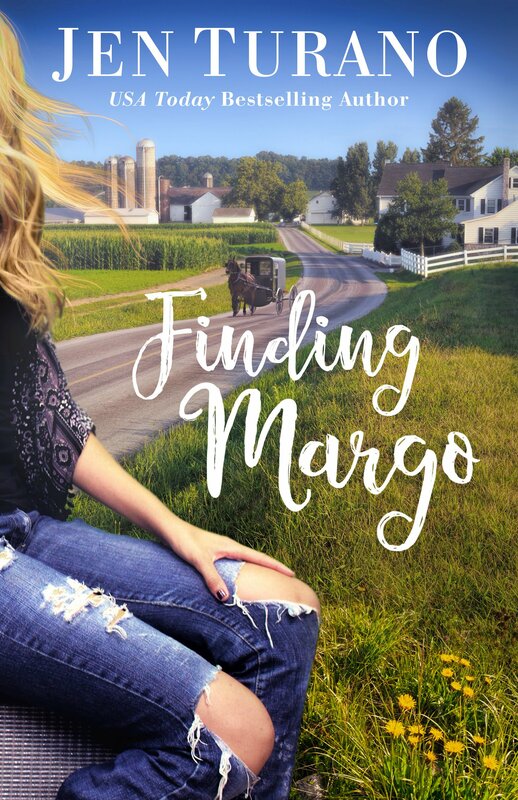 Finding Margo by Jen Turano is a contemporary Amish thriller. It is the first book in the Finding Home series which promises to be a totally gripping series. I just could not put the book down. Finding Margo is a nail biting thriller that will have your heart racing as the past collides with the present and the mystery unravels. A crime from twenty years ago seems to have links to present day crimes as FBI agent Brock asks questions that shake the past. Finding Margo has the theme of searching. Famous singer, Margo is searching for peace. Her mother has been running her schedules and she cannot stand the pace. 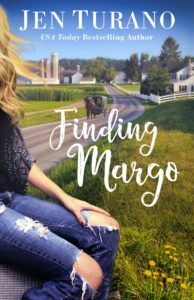 Margo, on the run, stumbles across a peaceful Amish community and feels drawn to the people and their lifestyle.